Day 130 I intercepted my friend April driving down the road to meet me at an entirely different location. Turns out I gave her the wrong coordinates and, there being no cell reception, we just got very lucky (*facepalm*). Anyway it was great to see her again. 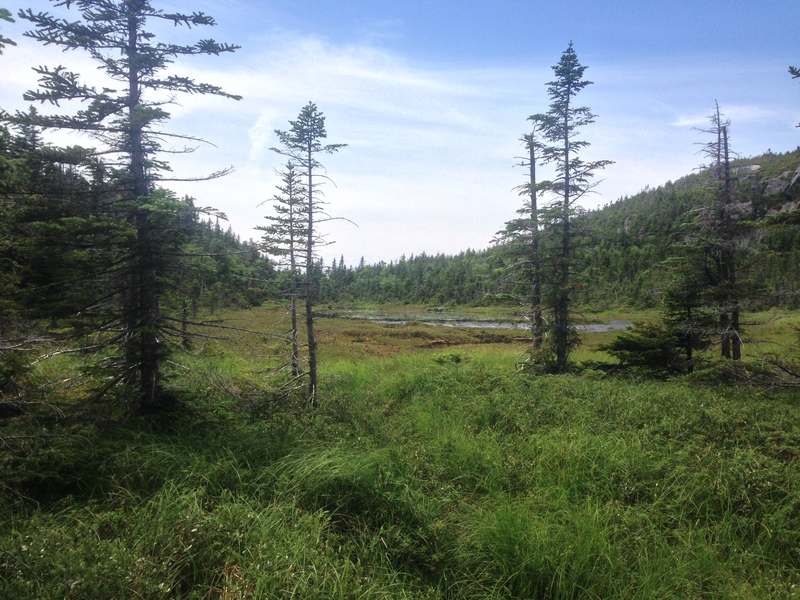 We talked about all sorts of things over a ten mile hike to Jeffers Brook Shelter. Along the way we stopped at Hikers Welcome Hostel where I found Peter Pan and Clifford. Randomly a man walked up and gave April, Peter Pan, and I some free whoopie pies. Life on the trail! 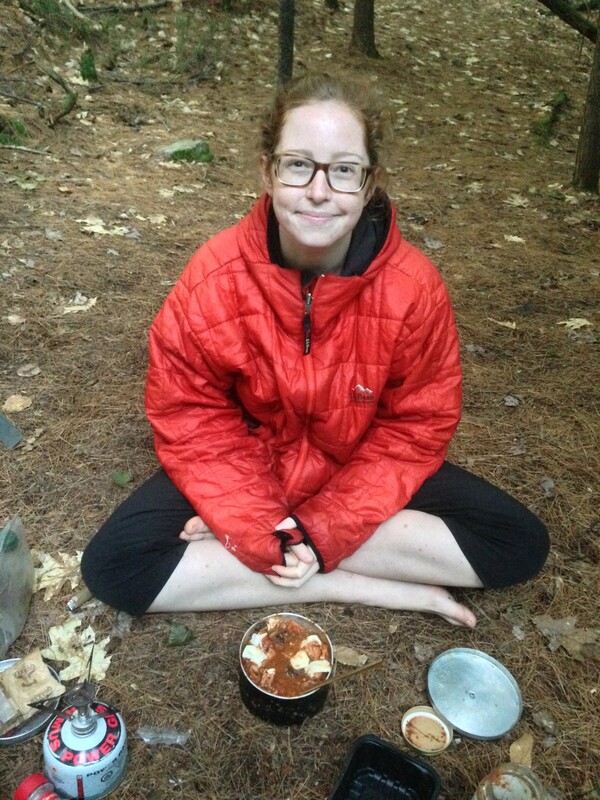 April surprised me with the fixings for perhaps my greatest trail meal yet: trail chili. Using my stove and pot she simmered some mushrooms with a jar of salsa and a package of sausage. A recipe I may just take home with me, for the ease/deliciousness ratio is top notch. 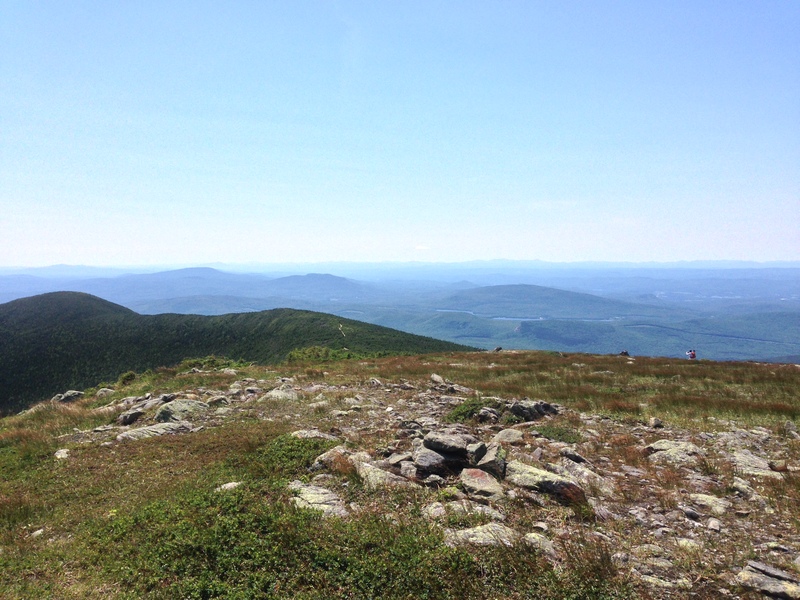 The next morning we started up Mount Moosilauke, the beginning of the White Mountains with an elevation of 4,802ft and a prominence of 2,932ft. A long climb but the trail was well cut and eventually we made it. The blustery summit was a sight to behold, something straight from Tolkien. Right off the summit we took a wrong turn and lost a chunk of time to retracing our steps. Unfortunately this put us in the position of racing down Moosilauke’s north face, a notoriously treacherous section, in order to catch April’s taxi. We scrambled the face of a waterfall, toeing down crags and rebar steps. All too soon April said goodbye and I set up camp right there. The notoriety of the Whites, regarded as the most difficult section of the AT, comes from the frequency of rigorous climbs. 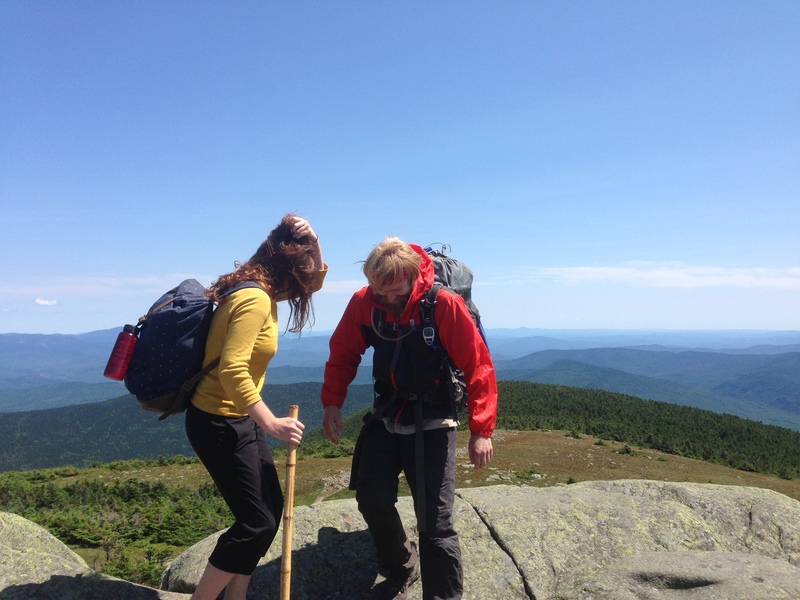 Yesterday Moosilauke and today Kinsman, each around three-thousand feet of gain. Even with my tested trail legs I would avoid climbing two of these beasts in a day, which meant a slower pace for about the next week. The top of Kinsman required a lot of pull-ups over boulders and ledges. Tough but fun. The fact was I needed food, so one way or another I had to get to Lincoln, NH. Staying at a hostel wasn’t in my budget, but I didn’t want to hitch back in the dark or wait till morning either. I was at a loss until I ran into Peter Pan and Clifford again at the first AMC hut (more on AMC huts later). They were on their way to an unlisted and free hostel at the house of a man named Chet. The trail provides again. We hitched straight to Chet’s place and met the man himself. When we arrived Chet rolled up to us in his wheelchair with a deadpan face, asking us trivia questions about the AT as if to test our authenticity. We passed more or less and Chet broke into a smile. Chet’s story is a remarkable one. Several years ago he was camping with a isobutane stove not unlike mine when the fuel canister malfunctioned and exploded. Paralyzed and covered in severe burns, Chet was lucky to survive. In the end he won a law suit against the manufacturer and used the money to fund his hostel. He said he would have started a hostel anyway, but this certainly helped. Hanging around Chet’s that night another character showed up, a retired fireman planning to hike the AT soon. 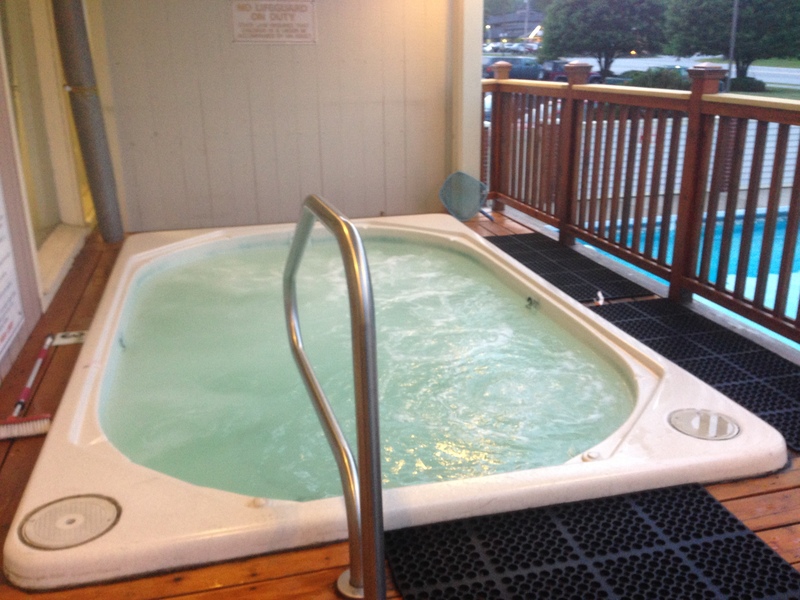 He invited five of us over to his condo for a chance to use the hot tub and sauna. And just like that I was sitting in a random hot tub in a random place in a random town with random hikers, and in a way this kind of thing doesn’t surprise me at all anymore. The next morning some threatening weather held everyone in the hostel for another night—everyone but me. I braved it and hitched up to Franconia Notch. As cloudy and misty as it was I took the lack of wind and rain as a good sign. 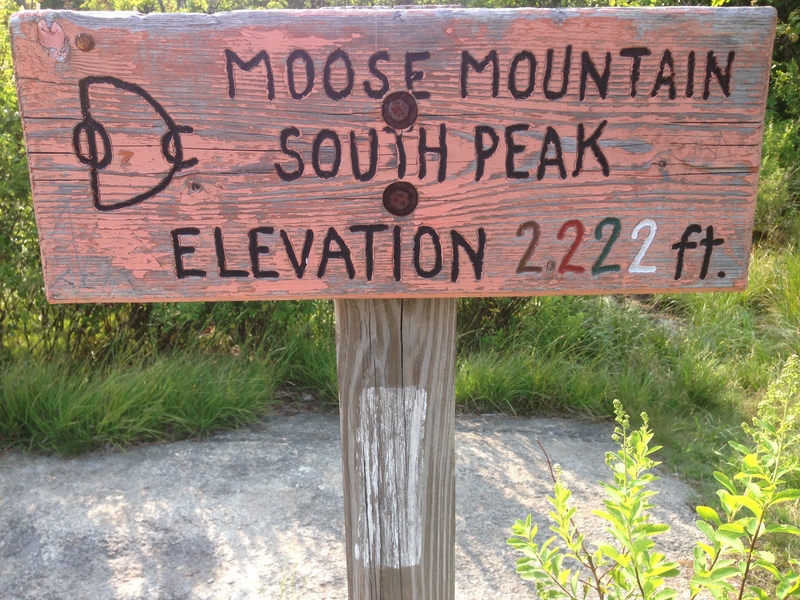 I huffed it up onto the famous Franconia Ridge. 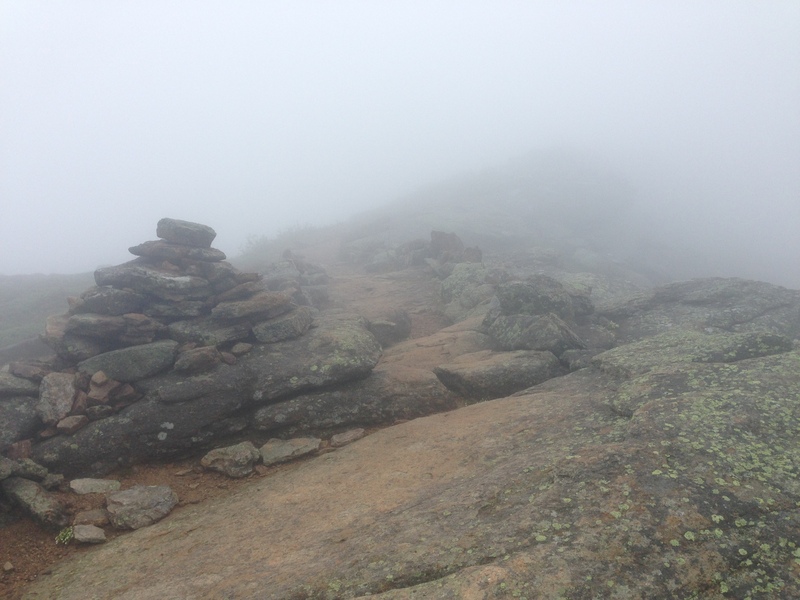 Though I missed some spectacular views, hiking through the clouds was its own kind of epic. I ended the day at Galehead Hut. I did a work-for-stay and got some delicious leftover barbecue pork and got to sleep on the bench in the dining room.